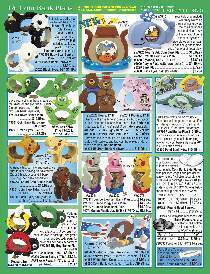 Page 14 features a variety of coin bank projects including the new #W3725 Noah's Ark Coin Bank. Plans listed below. Plans from a different pricing category listed under "Required Items."